Assembled five separate parcels totaling over 50,000 square feet of development land in high demand Regal Heights neighbourhood. The proposal called for a 12 storey mixed-use rental building with 10,444 square feet of ground floor retail space and a total GFA of 126,357. Assembled 24,664 square feet of prime development land in the popular Regal Heights neighbourhood. Proposal called for 12 storey mixed-use development with 7,580 square feet of retail and a total GFA of 134,209 square feet. 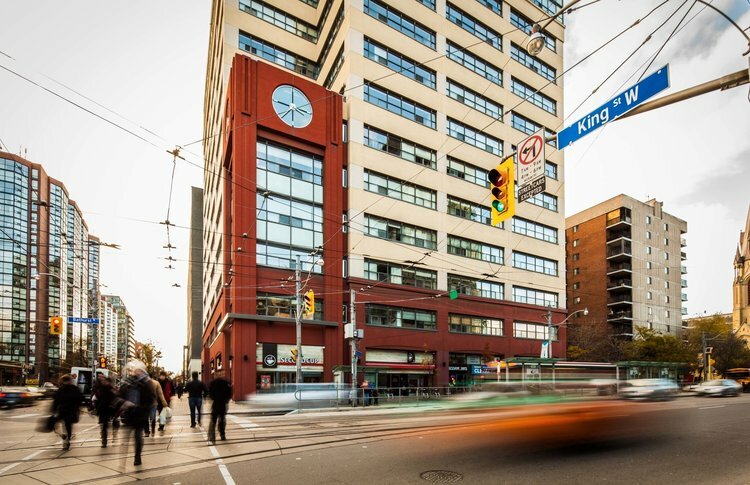 Acquired six properties at dynamic intersection of King Street West + Bathurst Street. Proposal called for a 19 storey mixed-use rental development with 247 residential units and 52,281 square feet of retail space on the first three levels. Assembled 17,200 square feet of prime development land located in the heart of King West. Proposal called for 55,966 square feet of prime retail space. Assembled four properties to create 26,726 square feet of prime development land at Dundas West transit hub. The proposal called fora 30 storeys mixed-use development with 15,000 square feet of ground floor retail space and a total GFA of 277,364 square feet. Assembled three properties to create 19,776 square feet of prime development land in high demand High Park neighbourhood. Proposal was approved for an 8 storey mixed-use building with a total GFA of 66,908 sq. ft. - 56,597 sq. ft. of residential and 10,311 sq. ft. of commercial GFA. The development called for 60 condominium units across 8 storeys with retail at grade bolstered by a total of approximately 143 feet of Bloor Street frontage. Proposal called a 12-storey plus mezzanine mixed-use building totaling 82,378 sq.ft. with a total of 102 residential units or 75,274 sq. ft. of residential gross floor area, with approximately 7,104 sq. ft. of high quality commercial space on the ground floor. Acquired, rezoned, and constructed mixed-use, purpose-built apartment at the corner of Richmond Road + Tweedsmuir Avenue. Located in the heart of Westboro, the 9 storey mixed-use building features a total of 71 apartment units and 9,000 square feet of ground floor retail space. Assembled 30,150 square feet of land on the north east corner of Richmond Street + Churchill Avenue. Proposal called for a 12 storey mixed-use building with 8,375 square feet of retail and a total projected density of 200,611 square feet.